What would Friday 13th be without a scary movie to watch? 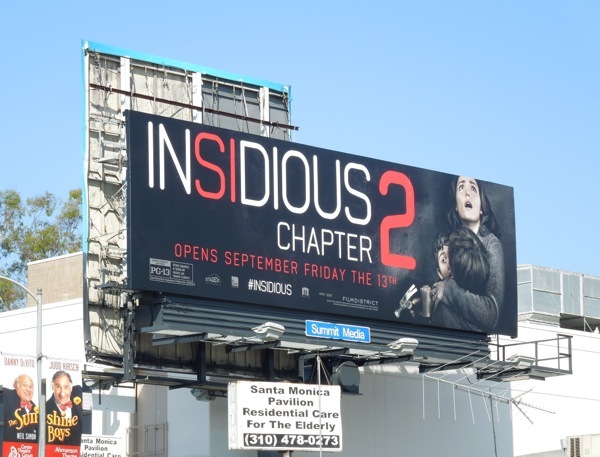 Well you're in luck (depending on your definition of luck, of course) as Insidious: Chapter 2 opens today for your terrifying delight. Rose Byrne and Patrick Wilson return after rescuing their comatose son from a ghostly realm called 'The Further' in 2011's first installment, but it looks like he brought something evil back with him. In this scary sequel the haunted Lambert family try and discover the mysterious childhood secret which has left them perilously connected to the paranormal world. 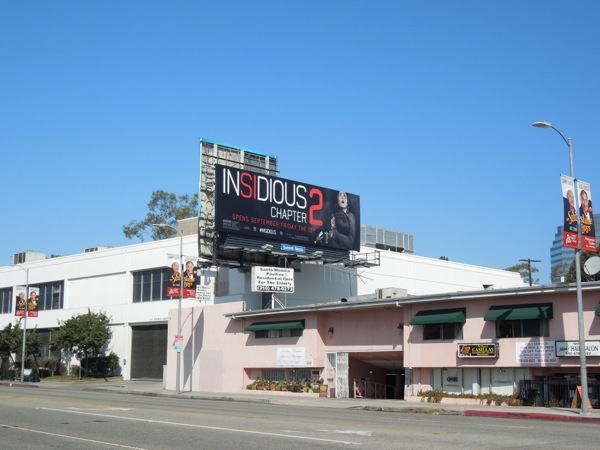 James Wan's 2011 low budget supernatural horror, which cost only $1.5 million and grossed $97 million at the box office worldwide, was the most profitable movie released that year. 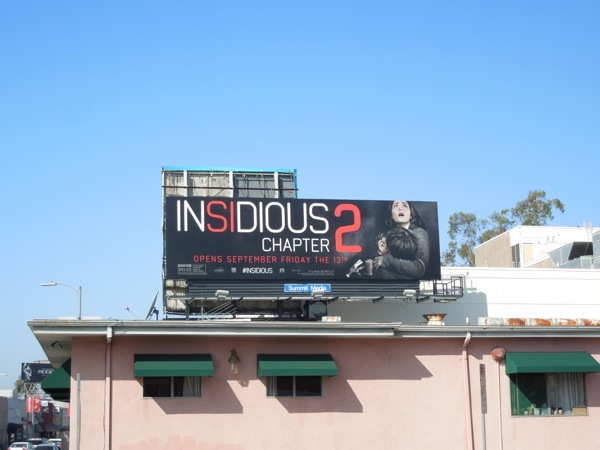 Can lightning strike twice you wonder, Daily Billboard is sure the filmmaker and studio hopes so, especially following the success of this summer's The Conjuring at cinemas (which was also directed by James Wan and starred Patrick Wilson) and has netted around $260 million worldwide. 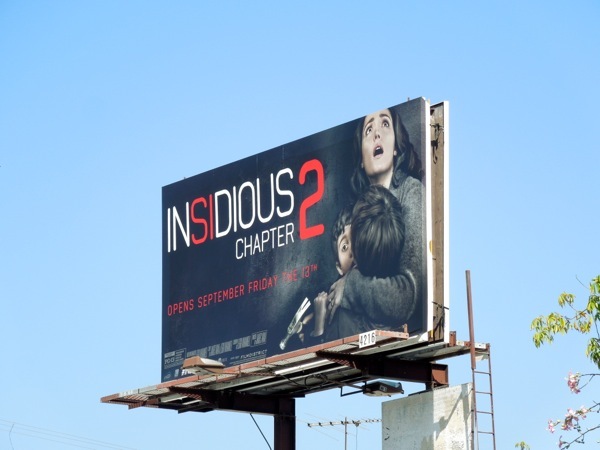 This billboard for the horror sequel, which focuses on Rose Byrne's character 'Renai Lambert' protecting her sons, was spied along Santa Monica Boulevard in West L.A. on August 17, plus a smaller version along Fairfax Avenue on September 12, 2013. 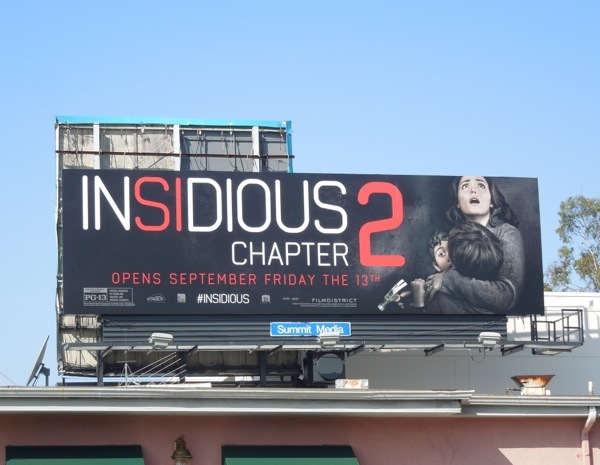 If you're a fan of the movie franchise, be sure to check out these original costumes and props from Insidious: Chapter 2 on display. Forget about Halloween, looks like the haunting hour begins now.